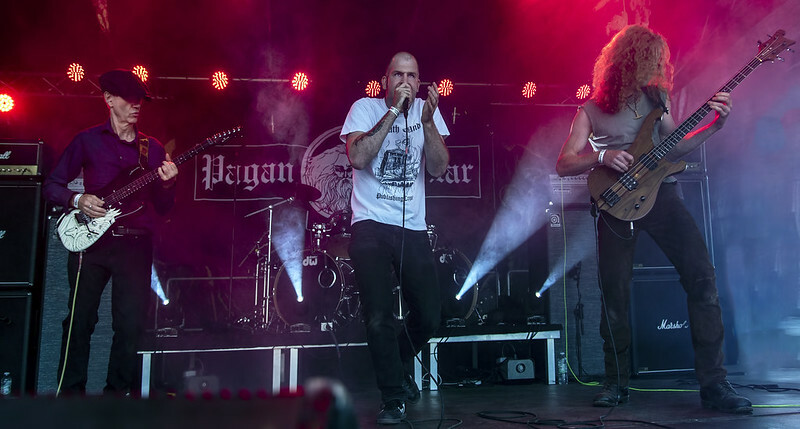 Pagan Altar is one of those bands who I would probably never have discovered had they not been on the bill of a festival I was going to attend. I started listening to them only half a year ago when Metal Magic announced their appearance at Metal Magic XI. Their performance solidified my love of the band. Even though Pagan Altar played on Friday night, they hung around. I stood next to them during Goblin’s set on Saturday night.